A word or set of words which play a key role to find out the webs through Search Engine is called keyword. A keyword is a text record in the indexed data or document that search string brings the web pages on the basis of its relevancy. So, a word which goes through a search engine and catches by its search string to find out the relevant documents from the previously indexed data, then presents in the search engine result pages is called a keyword. 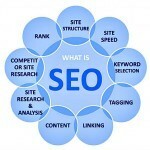 Keywords play a very important role in the optimization of a site for expected ranking. On the basis of keyword relevancy, keyword length, keyword compatibility, and rightly selected keyword boost a site’s rank towards the apex. 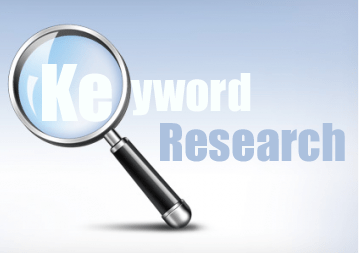 Keyword research is a sagacious conduct done by SEO professionals to obtain significant searching keywords relevant to the site’s targets that people use in the search engines during their searching. The aim of the skillful Keyword Research is to achieve a set of very relevant Keywords so that they boost the ranking in a natural SEO. There are many research tools in webs for significant keyword findings, Google Adwords Keyword Tool is enough one of them. Short Keywords: When a keyword length comprises with two words maximum is called Short keywords or short tail keywords. Short tail keywords are also called broad usage keyword because it commonly gets the place in lots of articles easily that makes deep competition among SEO professionals. In the keyword picture, ‘keyword’ and ‘keyword tool’ is an example of short type keywords. This type of keyword is very competitive, time factor and hard to find rank in the top ten. But although it takes enough time and strives, if once this type of key deserves expected rank then it sustains enough longer. Long Keywords: When a keyword used to comprise more than two words is called long keyword or long tail keyword. In the keyword picture, ‘keyword rank checker’ and ‘keyword position checker’ is the example of long keywords. This type of keywords decreases competition and increase traffic easily. Specific keywords: Exactly matching keywords are called specific keywords. 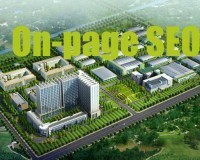 Such as ‘white hat SEO’. This type of keywords is lower competitive and easier to obtain rank. Unique Keywords: The keywords that are uncommon and specifically for a company or a newborn product which runs towards branding can be called as unique keywords. Unique keywords go on top of the ranks easily and make enough traffic satisfactorily. Local Keywords: If the keywords deserve only local requirements and compete only with the companies located that specific territory is called local or localized keywords. This type of keywords gets enough low competition and easily grows traffic successfully. The percentage of total keywords out of total text words on the web page is called keywords density. Although, direct controlling factors of webmaster are prior to the search engine, keywords within content compose become important to the optimization issues. Excess use of keywords stuffing results a page to be penalized because of search spamming. According to SEO experts, best tolerant and optimized keyword density should be 1-3 percent. It can be checked out using Keyword Density Checker tools. To boost ranking on SERP, strategic keyword placement in the appropriate places is very important. The following specific areas are named below to recognize the placing areas for the potential keywords for further easier SEO operations. URL Area: Domain name should be represented according to the site issues. Such as, if a site’s regarding is marketing, and then it should be placed in the domain which accelerates the site a bit to go up in the expected PageRank. Filename: The top selected keywords should be placed in the file names and directory because Search Engines give preferences to find the pages that are under the file names are placed with keywords. Title Tag Area: Title tag is another prior place for the keywords which get importance and displayed by all search engines. Although, it is not mandatory to place a keyword in the title, its presence in the title, the robot and search string gets prior to index and serve on the result page. Heading Tag Area: Heading or H1 Tag <h1> is needed for every page, is also a powerful area to be content keywords to keep ahead of the SEO process. Normally a heading should be 5-10 words including keywords. First Paragraph area: The main keyword should be placed in the first sentence of the paragraph is best to boost the rank. Bold text: One in recent past, bold words were treated as the keywords by Search Engines. But it’s meaningless after Google Hummingbird updates. Anchor text: According to Google last update, exact match keywords are now forbidden to place in the anchor text. 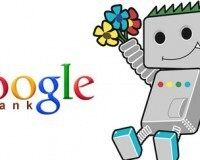 So, it’s not any more fertile place to put a significant keyword for organic SEO. Image Descriptions: In fact, an image is not readable to a Search Engine, an only alternative attribute with description can be readable by a search engine. But a keyword is not allowed in the slot of ALT-tag. In image optimization, a keyword should be placed in the file name of the image and alternative attribute.